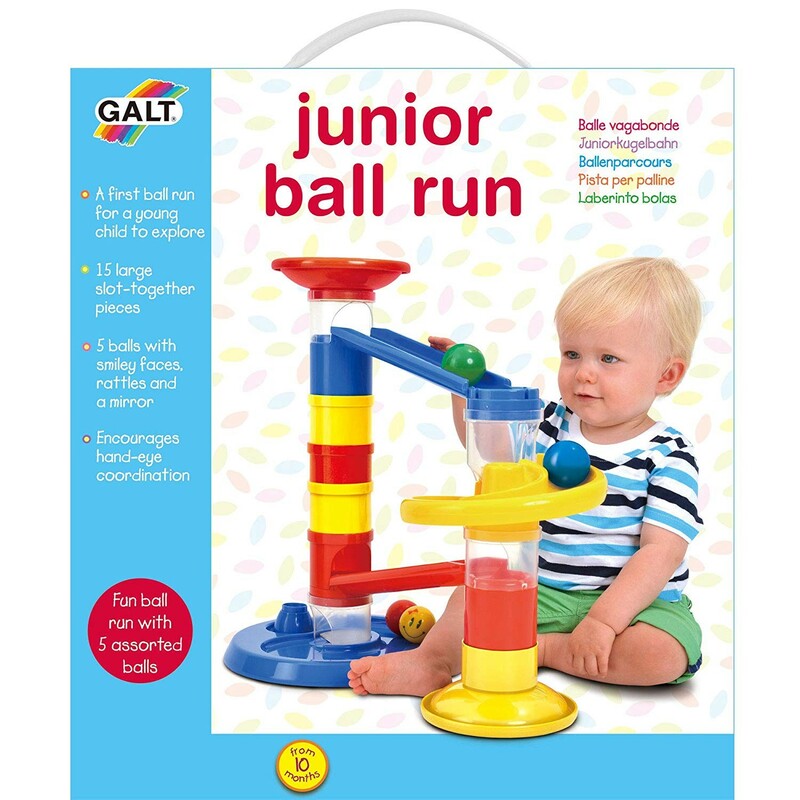 A fun ball run with 15 large stack-together pieces and 5 fun balls will engage your baby or toddler in the ball rolling play for hours! 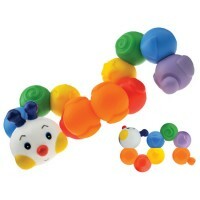 Have a ball with this terrific activity toy for babies and tots! 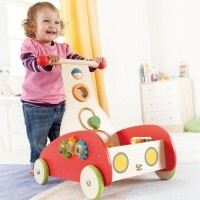 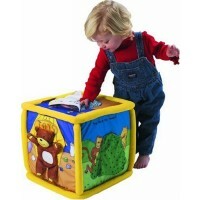 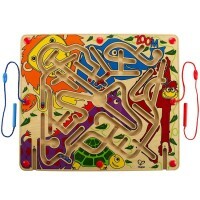 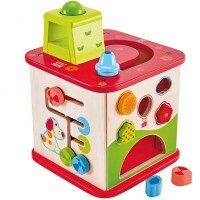 Junior Ball Run Baby and Toddler Activity Toy is a new manipulative fun play set from Galt Toys. 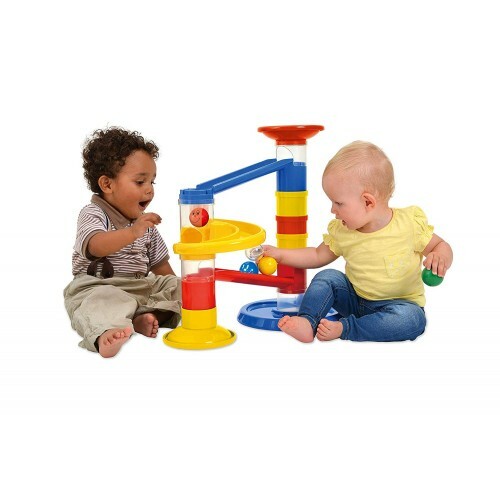 Designed for the little hands and growing minds, this colorful ball play set is first stacking toy, first marble run, and ball rolling ramp toy for the youngest builders. 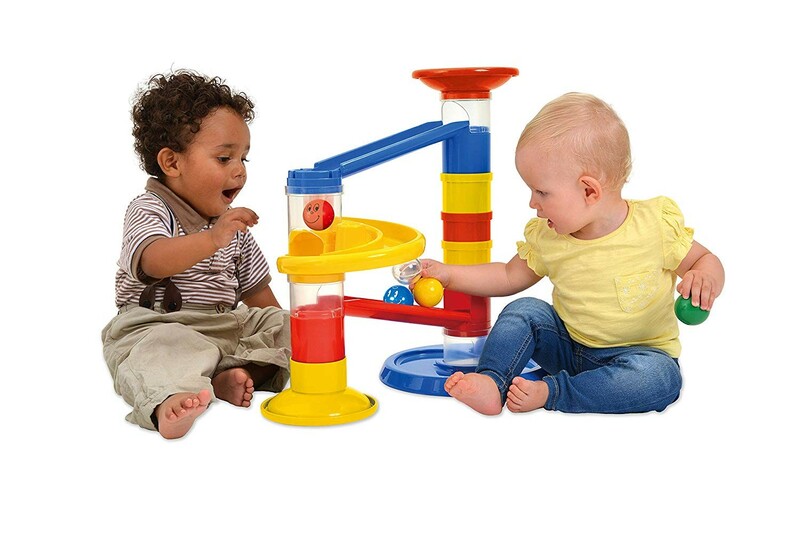 Help the little guy stack the pieces to create a ball run towers, and your toddler will love rolling the balls down the ramps and tubes again and again. 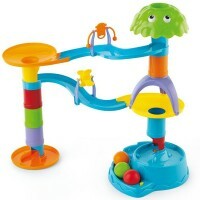 This toddler ball run center includes 15 chunky stacking pieces and 5 balls to build a simple ball rollercoaster. 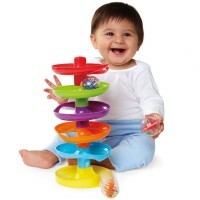 Junior Ball Run Baby and Toddler Activity Toy contains starter top, 2 chutes, 2 bases, roundabout, 5 colored tubes, 4 see-through tubes, 2 balls with smiley faces, 2 rattle balls, a transparent mirror ball and full-color activity guide and instructions. 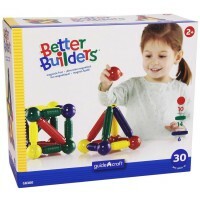 This first ball run set from Educational Toys Planet is a terrific gift to develop hand-eye coordination, reasoning, cause & effect, and engage your child in developmental play. 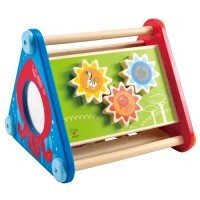 Dimensions of package 0.16" x 0.14" x 0.05"
Write your own review of Junior Ball Run Baby and Toddler Activity Toy.